Well, the holidays are over. I have this love-hate relationship with the holidays. I love the opportunity to see more of family and friends. I love the heart-warming moments and the traditions. 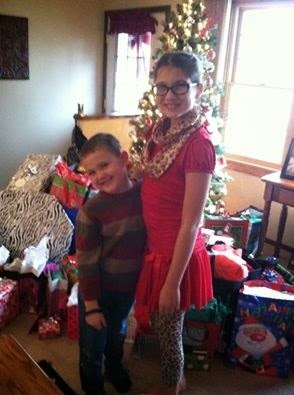 I love seeing the kids' faces light up when they open a gift. I love the random acts of kindness that aren't completed during the other eleven months of the year. I love the good food, sweets and drinks. Oh yeah - about that - I gained 8.5 lbs between Thanksgiving and December 26. Yup - I said it. 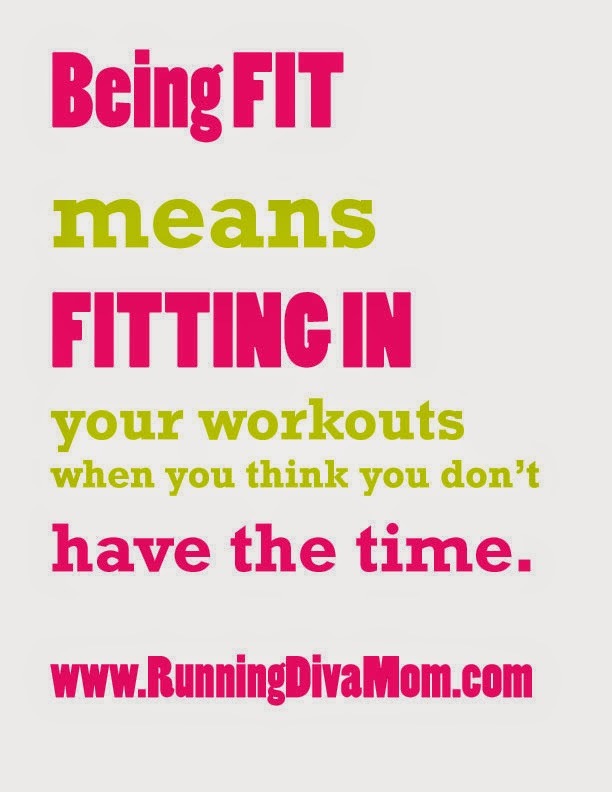 Even with running about 15-20 miles per week. We had family in town after Thanksgiving for almost two weeks and the celebrations continued all month long through Christmas Day. I am not typically a consumer of alcoholic beverages, but this Wisconsin Girl can't resist a good ol' Brandy Old Fashioned (or two or three or four) at a family gathering. I ate way too many sweets and treats. What's one more when you've already had a half dozen?? I'm headed back to journaling, cleaned out the pantry and refrigerator, meal planning, and eliminating alcoholic beverages from my diet. I'm also starting my next round of the Advocare Ten Day Cleanse. I'm finding that balance again - between healthy eating and working out. I can't just run and run and run - and expect to eat and eat and eat. 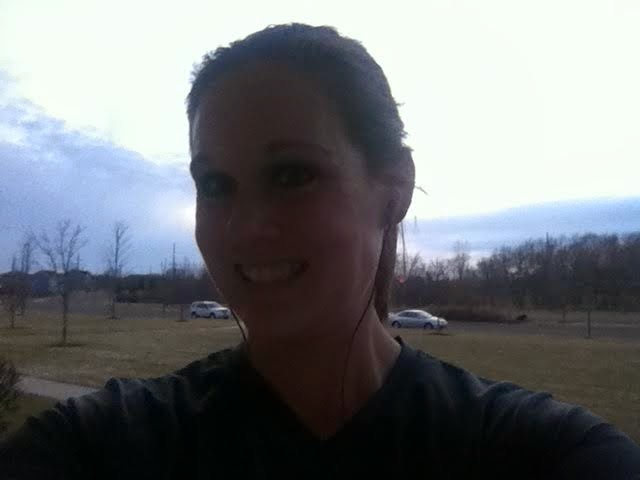 I headed out for six miles the day after Christmas and felt so weighted down. My legs felt heavy and I felt slow. My stomach turned and resisted. My legs and tummy jiggled with each step. My running gear was tight. 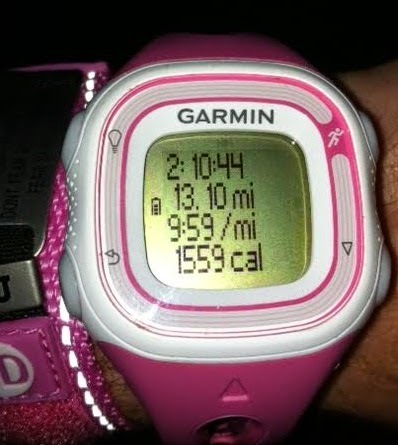 It was only a month and a half since I ran an awesome marathon and I was now struggling to log a few miles. I thought about calling it a day after my routine 5K around my neighborhood. But the weather was beautiful. So, I stuck with it. I pushed myself. I enjoyed the fresh air and the clean streets. I had missed the sunshine over the past couple of weeks and the sun shining down on me lifted my spirits. So did my music. I got my feet in sync with the rhythm of my playlist and just went with it. Eventually my six miles turned into ten and then a half marathon was completed at sunset. I felt better. Of course I did. I've kicked my booty back into gear. My run got me out of my rut. And I can still go out and run a half marathon - just like that. Being a very goal-oriented person, I love to reflect on the past year and set goals for myself around the time of the New Year. 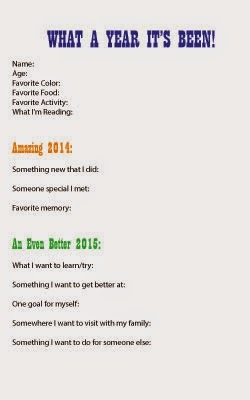 Some are running goals for the next step of my running journey. Some are personal goals. Some are financial pursuits. I love to get my family involved, too. For the past few years, my family of four sits around the dinner table and completes this New Year's Eve printable worksheet during this time of reflection. It is fun to review the existing worksheets and the answers given one year prior. The kids grow. We all change. It's enjoyable to not only set personal goals as individuals, but also goals as a family. Start your New Year off right! 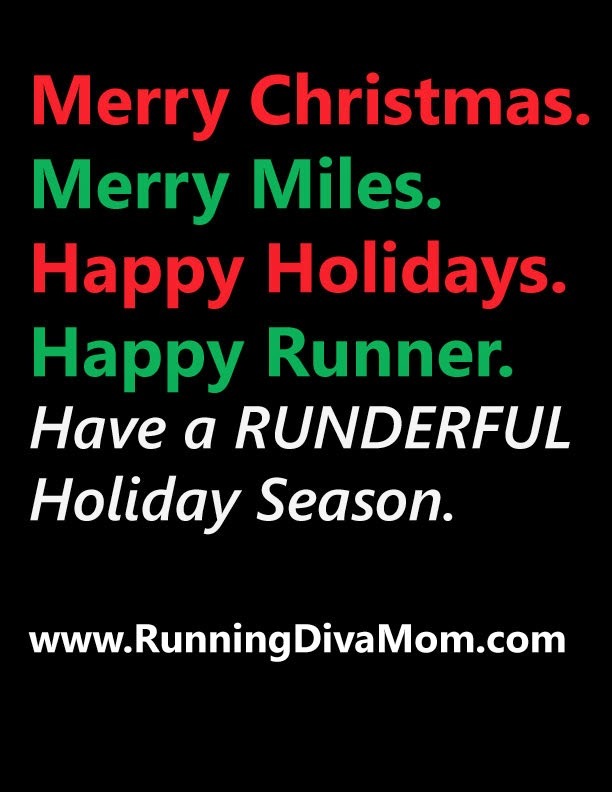 Take the opportunity to get off of the treadmill this winter - and run with friends in a fun and encouraging atmosphere!! Enjoy the 443-meter indoor track at the Pettit National Ice Center in Milwaukee. This is the same location as the Icebreaker Indoor Half Marathon and Marathon events two weeks later. Enjoy the distraction of figure skaters and speed skaters on the ice rink. The US National Speedskating competition will be taking place center rink. We will follow with lunch at Pewaukee's Thunder Bay Grille, featuring the best salad bar around! (lunch not included). We will return to Sun Prairie by 3:00 PM. •Lots of motivation and time with great running buddies! 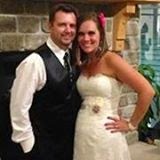 An Indoor Running Group - Limited to 15 Spots!!! REGISTRATION LIMITED TO 15 SPOTS!!! Interested in staying motivated this winter? 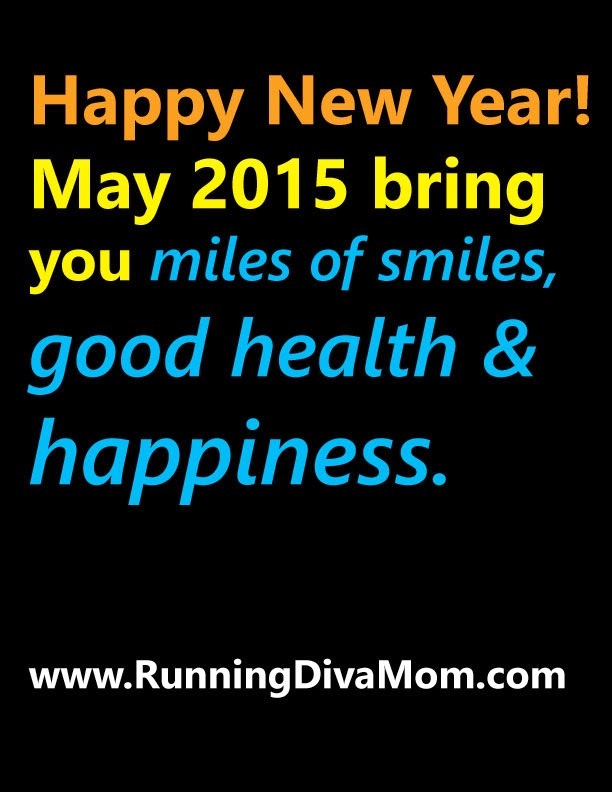 Want to keep up with your running and your new year's resolutions? Hate the cold? But, love the encouraging atmosphere of a group run? If you answered YES to any of these questions - this group is for you! 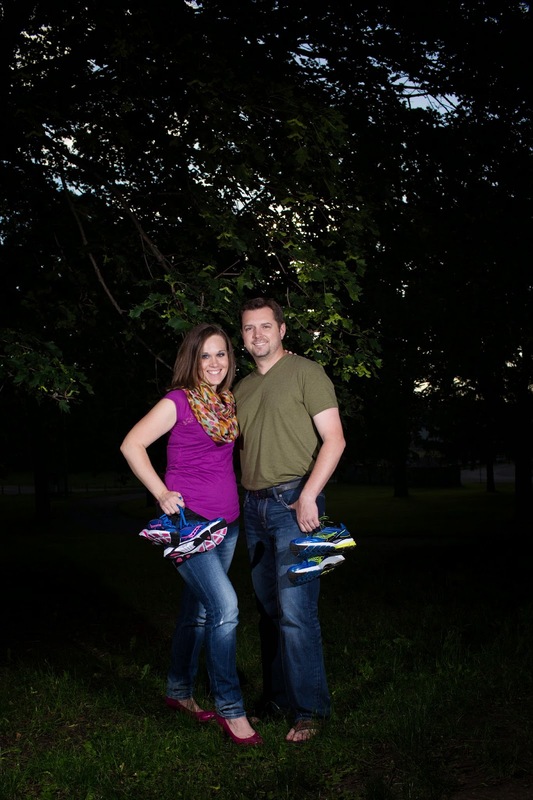 This class is perfect for existing runners to train for a spring 5K or the Crazylegs Classic (5 mi). Participants will run/walk at their own pace. A training program will be provided to keep runners motivated this winter. $35 for four sessions. Register separately for January and February sessions. Each monthly program includes four sessions. Sessions will take place indoors at the Waunakee Village Center track on Thursday evenings from 6:00-7:00 pm. Participants will also need to purchase a 10 pass punch card for the indoor track. Non-residents - $12 for ten visits to the track. Punch card may be used to run other days/times during the week. 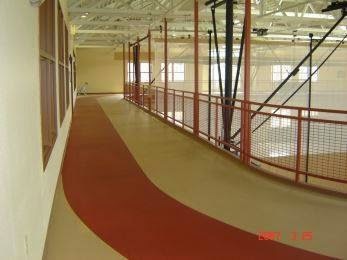 There is a suspended track above the gymnasium. The track is 1/16th of a mile and is a great place to walk or run. There are a limited number of strollers available to use while using the track. They are available on a first come, first serve basis. Personal strollers will not be allowed. FEELING A LITTLE BLOATED AFTER THE HOLIDAYS??!! Ask me about my Advocare Herbal Cleanse experience! Purchase your 10-day cleanse and start your New Year off right!! I follow the Herbal Clea...nse once every four months and it helps keep me on track, eases bloat, keeps me full and makes me conscious of my eating habits. 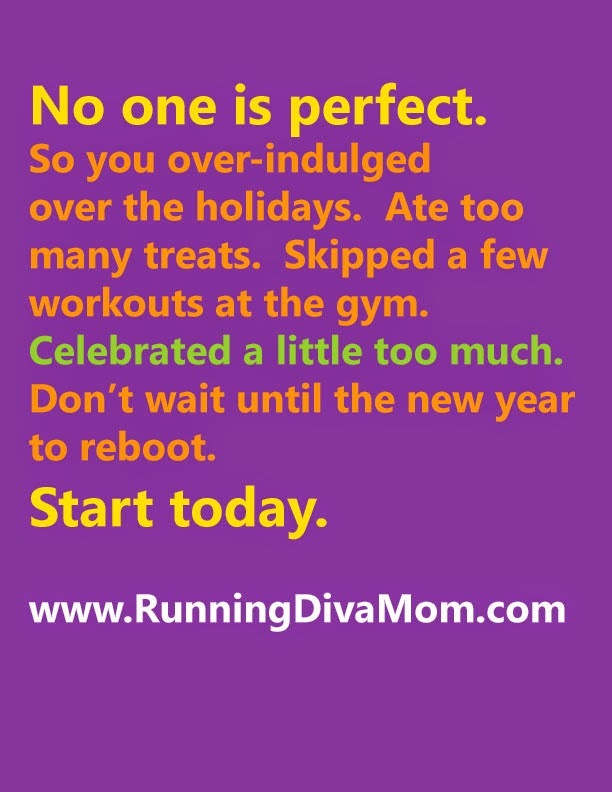 The best part .... it doesn't interfere with my running routine. I prefer the taste of Peaches and Cream, however the Citrus flavor has been said to be more effective. I am in love with these small and scrumptious bars by Taste of Nature (HERE) . I can't say enough about them. They are 100% certified organic and gluten-free. And just like advertised - they taste as good as they look - REALLY! I loved the California Almond Valley bar the BEST (HERE). With wholesome ingredients like almonds, raisins, sesame seeds, agave nectar, sunflower seeds, brown rice syrup, pumpkin seeds and whole grain brown rice crisps with a sunflower oil blend, you can't go wrong. I was admittedly a little hesitant to try "another organic" bar. But these transportable bars are super tasty, healthy and delicious. I love the sweet and salty taste of each of the bars I tried and the mixture of chewy and crunchiness in each bit. They were NOT bland and the goodness that held the wholesome ingredients together was sweet and chewy (almost like a marshmallow consistency in rice crispy bars). The Quebec Cranberry Carnival Bar (HERE) was next on my list. Peanut butter lovers will enjoy the Argentina Peanut Plains bar. You can purchase one of their six standard flavors or try something new (HERE). One bar has about 180 calories and 5g of protein of greatness. Great for an addition to your breakfast or lunch or a great mid afternoon snack. These bars are tiny and light, but filling and have a satisfying crunch. The light and weight would be perfect to slip into your purse or gym bag. Want to purchase some Taste of Nature bars for you and your family? Head on over to their website or check for a retailer near you (HERE). REGISTRATION NOW OPEN - LIMITED TO 15 SPOTS! A friend once told me over a run that when he found love again, he wanted to have that kind of deep love where you would greet each other each evening with a hug, a kiss and then a slow dance. Taking a break from the craziness of life ... together. I thought it was kind of a crazy thought at the time. But, I've held that concept with me for the past three years. Since that run, my friend and I have both been lucky enough to find love in the best of partners. The best kind of love. I love music. I love quotes. I love lyrics. I love words. Dozens and dozens of itunes got me through a difficult time in my life four years ago. Upbeat music got me through tough workouts that I needed for my version of therapy. Emotional tunes got me through emotional times. Endearing lyrics gave me hope. When I met my husband three years ago, we took my friend's suggestion. We would slow dance in the living room of my apartment. We would embrace each other and take a pause in our day to enjoy each other. 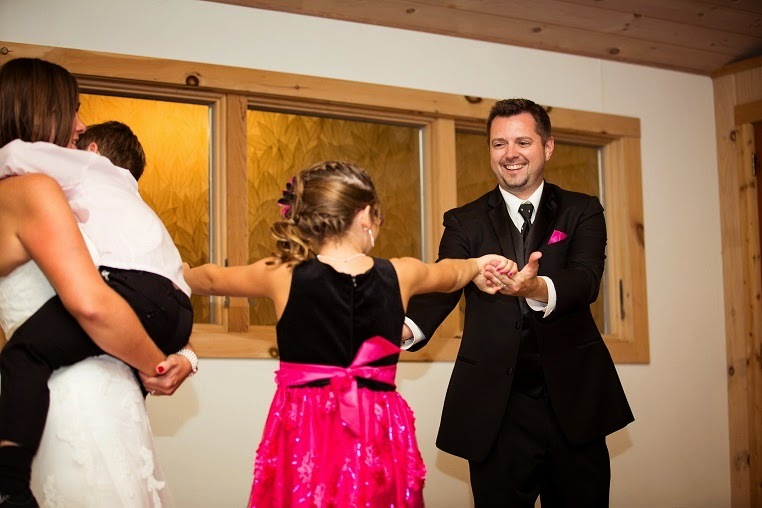 Fast forward three years and the slow dances still exist - but they have become more infrequent over time. Life gets busy. Life gets in the way. Being an adult is exhausting. And, with the holidays here, life is busier than ever. The other day I fell in love with Ed Sheeran's new song, Thinking Out Loud. The lyrics reminded me why I fell in love with my husband. Why he fell in love with us. Not just me, but my two children, too. It reminded me to be present. To live in the moment. I am such a planner and am always thinking ahead. Sometimes, all it takes is five minutes of slowing-down ... and dancing. A slow dance, lit by the lights of the Christmas tree, steps instructed by Ed Sheeran's lyrics, was just what I needed. What we needed. I feel so blessed for this life. This life we are creating together is more than happy, smiling faces posted on social media. We are more than finish line photos with great big smiles. 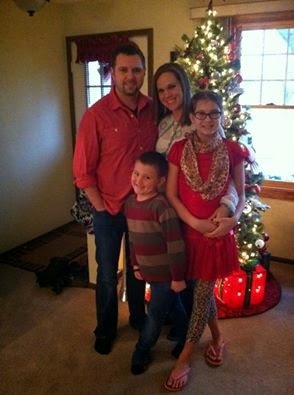 We are more than posed family photos in color coordinated outfits. It's the "good stuff" behind the scenes that makes me blessed. The uncaptured moments. It's about the everyday things we share together. It's about the great moments we share as a family. And the struggles that we embrace and discuss. The blending of families. The struggles with raising two children - two children that are not your own. I am always amazed by your touch. The kissing of my hand or on my forehead when you know that I need it. The way we look in each other's eyes and my eyes fill with tears. How you embrace me and breathe in the moment. I didn't know that love like this existed. I love how we don't raise our voices. How the kids express and observe that we don't raise our voices. How they see you hug me and want to be a part of it. How we talk about things. How we react. And when we don't react well, that we talk about it again and make things right. The financial struggles. The financial triumphs. The good choices. The bad decisions. 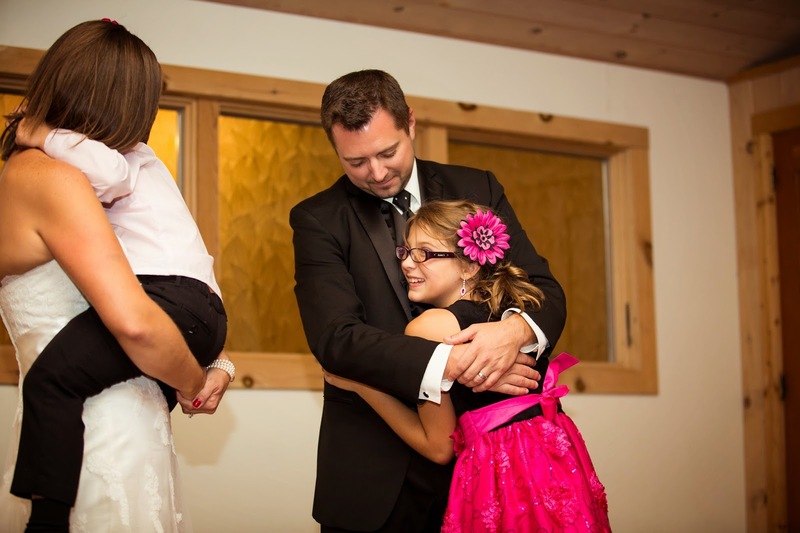 I love how you help me navigate parenting, while realizing that you are not their father. How you are involved, but realize your boundaries. How you suggest, but don't enforce. How you praise, redirect and love. I truly believe that I've found a partner. Not just a husband. We are a team. I didn't just find you. I chose you. And you chose me. You chose us. I've told you that I wish I'd found you sooner in life. But you remind me that everywhere we've been has led us to each other. To this point in our lives. We weren't ready for this amazingly, wonderful life together. That's why you ended up back here. Maybe we both had to endure the struggles and hardships to make us appreciate this life we are creating together. 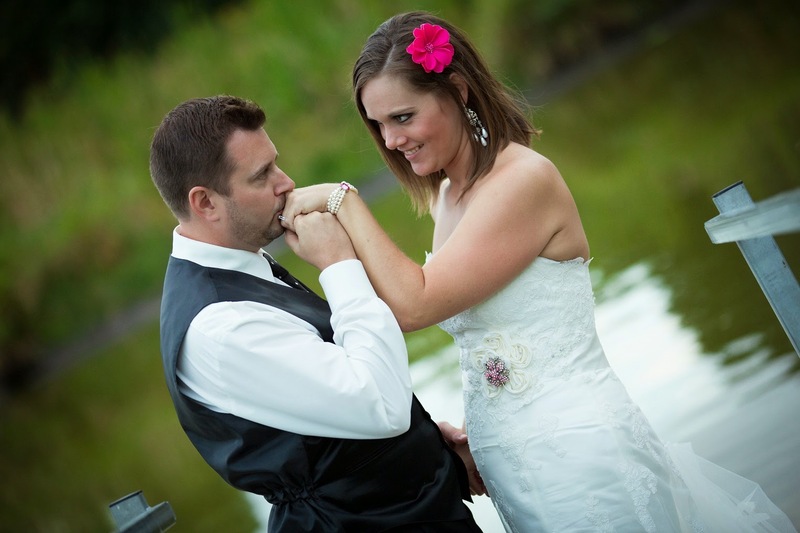 As Ron Pope's lyrics sang during our wedding ceremony, "Even after all this time, there's nothing else I'll ever find in this whole wide world that can shake me like you do. There's truth of something so sublime, that there aren't words yet to describe, the beauty of this life I've made with you.". I'm so appreciative for the past three years together. I am overly excited about the possibility that our future holds together. But, most importantly, I'm thankful for the present. 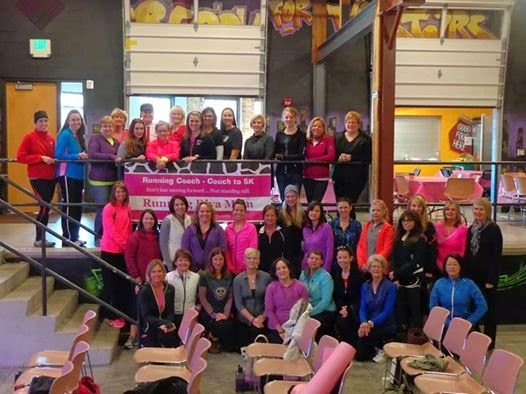 The 2014 Womens Running Retreat was held at the Goodman Community Center in Madison, Wisconsin on Saturday, November 1. Participation doubled from the first annual event in 2013. The event was also shortened to take place during the morning only, so that participants could still enjoy the afternoon with their families. The day started off with registration and shopping at the mini expo, with tables from Catalyst Activewear and various home-based business owned by local women and mothers. After an introduction from myself, we started the day with our keynote speaker, Krissy Schintgen from Not Fast Just Fabulous. She is a two time stroke survivor who started running recently after her daughter completed the local Girls on the Run Program. 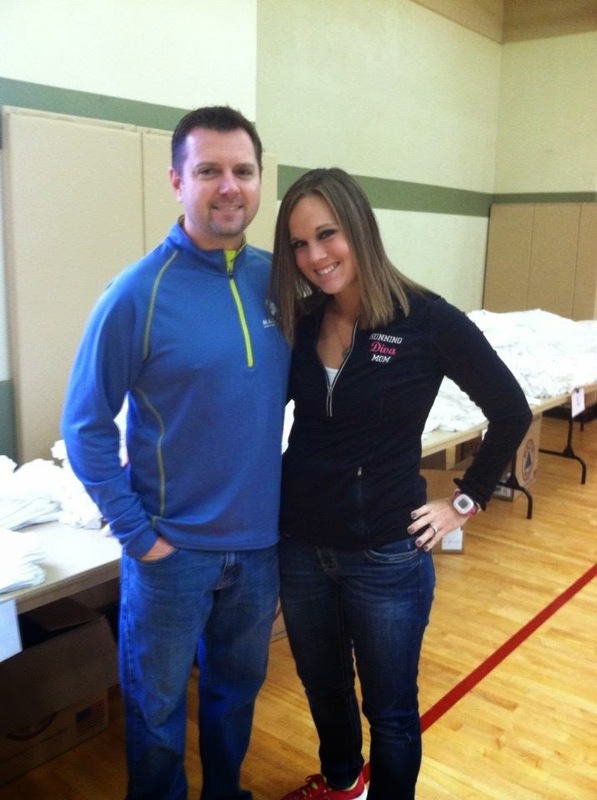 Krissy recently completed her first full marathon this past weekend. The morning went on to include a fun session on balancing your personal energy, from Dusty Rogers, a Madison-area blogger from All Things G&D. The program also included a session on nutrition and weightloss for runners, given by Jean Reiche, a dietitian from UW Hospitals and Clinics. This was a topic that 2013 participants requested. And, why not follow up a discussion on nutrition with a cupcake party! The cupcake party also featured light refreshments and healthy snacks. During the cupcake party, each participant each one a giveaway prize. Prizes included free race entries, headbands, running apparel and gear, gift certificates and much more. Participants had another chance to shop the mini expo and enter to win prizes that the business were raffling off. This hour also gave ladies the chance to mingle with friends and meet other active women from the Madison-area. I'm told that several new friendships and running buddies were formed during this time. We ended the morning with an introductory yoga for runner's class, given by Gail Konop. Gail and I have led classes together previously and she was the perfect addition to the morning's agenda - since many of the runners don't regularly practice yoga and were a little intimidated. Gail made this class fun and provided several modifications. And what Running Retreat would be complete without a group run on the bike path. This was my favorite part of the day. I was not only in my element - I was able to get to know the other women while we put in a few miles. The makers of Frontier Bites were tired of the energy and granola bars on the market packed with high-sugar and artificial ingredients. They developed a natural bite-sized alternative to energy bars - made with simple ingredients. Each bite was crafted from the highest quality of ingredients and provided the long-lasting energy needed to conquer any Frontier. You can actually see all of the ingredients in each package - it's amazing. The wholesome ingredients will fuel you up and keep you satisfied in the process. Frontier Bites are a delicious and simple alternative to energy and snack bars on the market. They are made with only eight ingredients, 100 calories and no refined sugar. I was sent all three flavors to try: Almond Blueberry Lemon, Pecan Cherry Cinnamon, and Macadamia Pineapple Coconut. My favorite was the Pecan Cherry Cinnamon, followed by the Almond Blueberry Lemon. These clusters of fruit and crunch were a pure delight. Each bag is priced just under $6.00 per re-sealable package. They also offer cases of single-serving packages. Each package contains about five servings and each serving is about 100 calories. I actually found that the serving amount was accurate. Sometimes after consuming something like chips or pretzels, I find that one serving doesn't satisfy me and I reach for more. These serving sizes are accurate and the mixture of crunch, salty and sweet kept me satisfied and happy during my afternoon slump. I broke out packs of Frontier Bites at this year's Womens Running Retreat in Madison, Wisconsin and they were a hit! So many ladies were coming up to me asking where I got them. When I said "from my blog", I had to go home and checkout where they could be purchased. Ladies were writing down the brand name and information so that they could research it later, too. In Madison, it appears that they are only available at REI. Check for a location near you - hopefully you have more luck. 5 – Post about this giveaway on your blog, Facebook or Twitter (@RunningDivaMom #RunningDivaMom @frontierbites) account. LEAVE ME A COMMENT FOR EACH. Enter now though Thursday, November 20.